Lasagna is a dish that can be made so many different ways. Classic Ricotta Lasagna is adapted from a recipe named “The World’s Best Lasagna”. I love ricotta cheese in lasagna, and this lasagna is extra creamy because of the ricotta and mozzarella combination. Lasagna is a dish every cook should have in their repertoire. Why? A good classic lasagna recipe is so versatile! It is comfort food to the very core. Cheesy, filling, creamy and served hot, nothing beats a good dish of lasagna. It can be served for a family dinner (large or small gathering), and is perfect for dinner guests and for taking to a neighbor in need. I also love how well lasagna freezes. When we have leftovers, I cut pieces and freeze them in containers or sometimes just slide them into freezer Ziplock bags and then they’re ready to re- heat in just a few minutes. I’m here to tell you, if you can make a good dish of lasagna, you can make ANYTHING. I think most people are either team cottage cheese or team ricotta in lasagna. Most lasagna recipes have a combination of a few basic ingredients or layers: sauce (either meat or vegetarian based), grated cheeses, pasta and a mixture of egg and ricotta or cottage cheese. There are countless ways to combine spices and sauce ingredients. 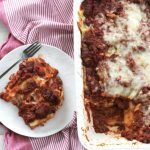 Although I love to mix things up and try pesto veggie lasagna, or lasagna with no bake pasta, or even a mock lasagna made with chicken and egg noodles, I’m still partial to my stand by recipe for Blue Ribbon Lasagna. Once in a while, I like to experiment and try recipes that I find online. This recipe for the World’s Best Lasagna is said to have been developed by a guy and his girlfriend years ago, while they were in college (they aren’t together anymore). The couple decided to put the recipe online and call it The World’s Best Lasagna. And Guess what? It has been viewed more than any other recipe on Allrecipes.com and is said to be the most viewed recipe online of all time! I had to at least give it a try. When a recipe has 10,000 reviews and 21,000 people who have said they’ve made it, I knew it was time I baked up this classic recipe. My version- Classic Ricotta Lasagna. My review? I loved this recipe. After I made a few adjustments. As with most lasagna, it was better the second day. Even better after freezing and then reheating. I always freeze lasagna AFTER initial baking. Classic Ricotta Lasagna is heavy on the saucy side. I like my lasagna with a bit more pasta. I felt like the sauce to pasta ratio was a little off. That said, I still loved this dish. And I think you will too. You need to remember making lasagna is a process. There’s no way to make a great lasagna and not make a bit of a mess in your kitchen! It takes a pot to make the sauce, a bowl to mix the eggs and cheese, a place to grate the mozzarella and then of course another pan to assemble and bake the lasagna. The good news is, you can make the sauce ahead of time and then assemble later in the day or even within 3-4 days. Assembly only takes a few minutes. If you’re a beginner in the kitchen, I think you’ll have great success with this recipe. Give it a try and let me know what you think. Once you master a great dish of classic lasagna, the sky is the limit! Cook sausage, ground beef, onion, and garlic over medium heat until well browned, drain off fat and discard. Stir in crushed tomatoes, tomato paste, tomato sauce, and water. Season with sugar, basi, Italian seasoning, 1 tablespoon salt, pepper. Cook lasagna noodles in boiling water for 8 minutes. Drain pasta toss with a bit of olive oil, set aside. In a mixing bowl using a fork, combine ricotta cheese with egg. To assemble, spread 1 1/2 cups of meat sauce in the bottom of a 9x13 inch baking dish. Arrange 6 pieces of cooked pasta lengthwise over meat sauce. Spread with one half of the ricotta cheese mixture. Top with a third of mozzarella cheese slices. Spoon 1 1/2 cups meat sauce over mozzarella, and sprinkle with 1/4 cup Parmesan cheese. Cover with foil, to prevent sticking, spray foil with cooking spray (side facing lasagna). 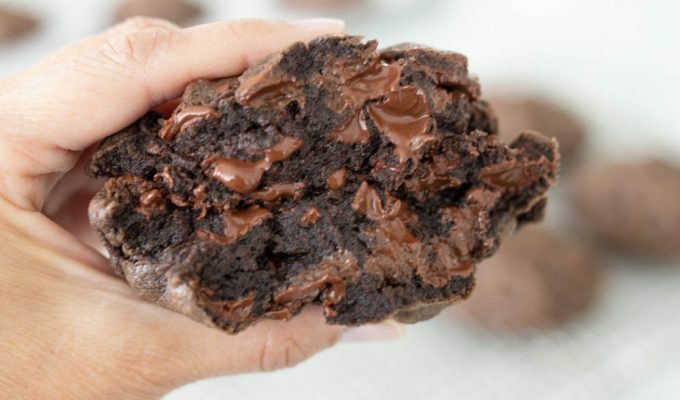 Remove foil, and bake an additional 25-30 minutes. -If freezing leftovers, bake first, let cool, then freeze. -You may add more pasta to this recipe. The last time I made this, I added pasta for a total of about 16-20 pieces per pan.-This recipe is adapted form the original recipe for "the World's Best Lasagna" quite a bit. I adjusted the seasonings to my liking, and drained fat from the meat because I don't like leaving the grease in the sauce, and omitted the sugar. I'm not a fan of fennel seed, so I also omitted the fennel. About 30 years ago one of the young men in our Ward went to culinary school and taught us all that we didn’t have to cook our lasagna noodles. I have never cooked a noodle since. If the sauce is thin no need to do anything if it is pretty thick add about 1/2 cup of water around the edge. No other adjustments needed. Makes lasagna so much easier and less mess. Looks yummy! In your Blue Ribbon Lasagna recipe do you substitute ricotta for the cottage cheese? Yes, you can substitute cottage cheese for ricotta. I usually blend it till smooth before using. I made this for Sunday dinner. Best Lasagna I’ve ever had! I used cottage cheese instead but that sauce is SO good!! I’ve made the World’s Best Lasagna recipe a few times and we love it. But I have never been able to get by with just 16 oz of ricotta in any lasagna recipe! I use 32 oz and 2 eggs. I’m going to adapt my seasonings to what you have suggested–seems like it can only get better! Please let me know how that combo works for you. Send me a picture and I’ll post it on my Instagram! I’m always wanting to improve my recipes. I’ve made this twice and it is fantastic. I especially love that I don’t have to shred the mozzarella and I think the seasonings are just perfect. It’s our new favorite lasagna, Si!! Thank you! Hi Jeanelle, I’m so glad you and your family enjoyed it. The ricotta really helps pack in all of the flavor. Definitely one of my favorite lasagnas to make. Thanks for sharing!